In my previous blog post about Rihanna's foundation, I talked about how I’m an oily monster so I wanted to go over products that I adore to help fight those oils. Being an oily skin type, I'm always on the hunt for products that help with oils. So let's jump right into it! The first and MOST IMPORTANT step to prevent oils is skincare. I repeat, skincare! In order for makeup to work properly you need a nice, clean face to start with. So my first product to help defend against oils are cleansers. Cleansers are meant to clean the face while removing makeup, dead skin cells, oils, dirt, and helps unclog pores. Cleansers are typically used with a toner and moisturizer. Here are some cleansers that worked well for my skin type. "A foaming cleanser that helps clear pores, eliminate excess oil, and reduce shine. This maximum-strength foaming cleanser leaves skin tingly clean and refreshed. Formulated with skin-clearing saw palmetto, cooling mint, and pore-minimizing salicylic acid, these natural ingredients delete excess oil without overdrying skin. Pores are refined. Shine is reduced. And skin feels refreshed. Of course, less oil can lessen the likelihood of breakouts and blackheads. For oily skin." "CLEAN & CLEAR Deep Action Oil Control Face Wash has a unique formula that is proven to clean deep down into pores, thoroughly dissolving oil, dirt & make-up. Its breakthrough Rice Extract Oil Absorbing System is proven to control oil throughout the day to keep skin oil-free for up to 8 hours. Leaves your skin feeling clean and fresh." If you are looking for an inexpensive cleanser, I would recommend the Clean & Clear. It is definitely worth it for the price. The Origins one is on the more expensive side, but also worth the money! Neither of these products left my skin feeling dry and normally a lot of cleansers do, so that is a plus! If you don't already use a cleanser, I beg you to use one. It is definitely needed right after you remove your makeup. Make it a part of your everyday routine. Your skin will thank you for it! The second product for us oily skin types would be a face mask. A face mask helps take care of your exact skin care concern and also helps pull out impurities. In this case, it's oily skin. There are tons of great masks out there, but these two have definitely been my favorites. No ifs, ands, or buts about it. "Therapeutic Sulfur Masque is a medicated formula with maximum strength 10 percent sulfur, purifying kaolin, and bentonite clays to dry and clear acne blemishes and help prevent their return. Designed to exfoliate dead skin cells, absorb excess oil, and help purify clogged pores, it soothes and calms with aloe vera." "The SUPERMUD® Clearing Treatment was clinically developed to address common skin concerns, which include blemishes, redness, scars, razor bumps, and in-grown hair. The potent mud formula supports skin’s natural oil balance, while a proprietary blend of six acids works to dramatically brighten and soften the complexion. Activated-X charcoal lifts away dirt and other skin congestions, resulting in a refined, healthy-looking complexion." I honestly cannot say enough good things about these two masks. While they do help with oils, they also help with preventing acne. I'm down for killing two birds with one stone. The Peter Thomas Roth sulfar mask hardens over your face and feels tight, but once you wash it off it feels aaaamazing. The glam glow seriously does work on razor bumps and in-grown hairs, it's true! You can even put it on down there... if you know what I mean. Some masks can be used everyday, however I recommend only using these products once or twice a week after you get out of the shower. Leave on for 5-10 minutes. Wash off with lukewarm water. You will see a difference in your skin. The third product I want to talk about is a primer. Primer is a base for foundation that lays a thin layer over the skin to allow foundation to go on smoother and last longer. I mentioned in my last post that I normally don't wear primer, but when I decide to or when I apply on clients, these primers are the ones I turn to for clients with oily skin. "A makeup primer that assists with balancing the skin's texture and tone for smoother, more even, and longer-lasting makeup wear." "Blot Out Offensive shine + oil control cream. Instant Matte / Anti-Shine Moisture Cream can be used alone or as an HD Primer under make-up. Controls oil secretion and maintains your make-up application for up to 14 hours." I promise you these products are to die for. The great thing about the Nurturing Force is that it's kind of like a 2-in-1. It can be worn alone as a moisturizer or under foundation as a primer. The primer for Makeup Forever is spectacular! It glides on your face so smooth and really does keep your face matte throughout the day. Apply a pea size amount of primer to your fingers and use on your face. You don't need a lot of this. Makeup Forever is one of my favorite makeup lines because they have so many different products that just work. From foundations to eyeliners to eyeshadows, they really got it going on. My fourth and final product that I recommend for my oily skin gals is a translucent power. A translucent powder is generally used as setting powder to blur fine lines and pores, giving you an extra-perfect look. People also use it to "bake", but I like to use it a different way. "Translucent Loose Setting Powder locks in makeup for long-lasting wear, without adding weight or texture. This bestseller creates a modern, matte finish with a touch of sheer coverage, while it absorbs oil and reduces shine all day. The pros know why it's their favorite: the powder is a little denser than an average powder, providing super smooth, even application and blending". "Revamped and now more transparent, weightless, and blurring than ever, this is the ultimate finishing powder. The silica- and silicon-based formula delivers a naturally matte, light-diffusing effect, while minimizing the appearance of pores and fine lines. 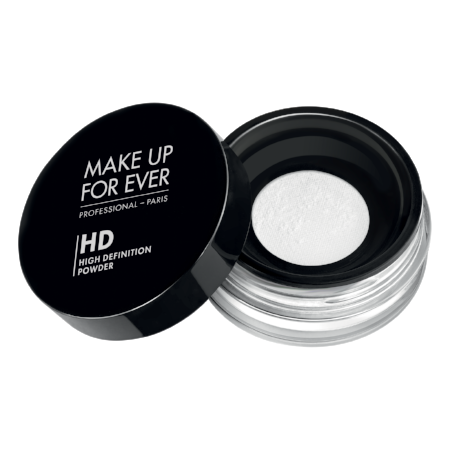 Formulated to look invisible under Ultra HD 4K technology, this loose power is perfect for every skintone with a non-drying formula that creates a visibly flawless finish in any light." Both of these translucent powders are light-weight and set the face really well. I don't use translucent powder on every client especially if they aren't oily. I also do not use translucent powder everyday. This tip works for me so feel free to try. After applying primer and before applying foundation, lightly dust translucent powder over the oily parts of your face with a fluffy brush. Then, after applying your foundation and concealer, lightly dust whatever is left on the brush all over your face and proceed with your regular makeup routine. I bet you won’t be an oily monster by the end of the night! Trust me on this. I know it sounds out of the norm, but I'm not normal anyways so oh well lol. Although these products work well for me, they might react different to your skin. So try it out and you be the judge. I said it once and I'll say it again, ultimately skincare is key! That's where it really starts. You can apply all the foundation you want and try to cover up imperfections, but if you never have a clean face to start with all of that is pointless. So take care of your skin. Shoutout to all my oily skin girls. I know the struggle giiirl! Melanie Joy is the Lead Houston Beauty Stylist and Co-creator of Hello Flawless Artistry. She loves inspiring others through the art + knowledge of beauty. She enjoys reviewing products along with writing about beauty tips. Feel free to follow her on Instagram.